When the Right wing Saskatchewan Party lost the 2003 provincial election, a seismic shift in policy was sparked within its ranks . Common wisdom in 2003 stated that the three term New Democratic government would fall. But to the surprise of most, the New Democrats triumphed and won a fourth consecutive term in government by forcing the Saskatchewan Party to come clean on their plans to privatize publicly owned entities in the province. Shortly after their bitter defeat, the Saskatchewan Party denounced any plans of privatization. This complete reversal in policy traumatized them to the core of their being .... but it was the only way that they could lay the groundwork for their eventual election in 2007. Premier Brad Wall finds himself stuck now with clear and concise party policy that precludes ANY privatization of public entities such as SaskTel, Saskatchewan Government Insurance (SGI) and SaskPower. And yet, every fibre in Wall's character screams to sell these public corporations and then find some way to funnel the proceeds into the coffers of his pals in the corporate (read 'Oil' here) sector by means of even more business tax cuts. So what is Premier Wall to do with this policy millstone around his neck? It looks like the key is to ensure that a 'debate' starts on the notion of a least considering a massive privatization exercise. Enter the Right leaning Frontier Centre for Public Policy. The FCPP is acting as a proxy for the Saskatchewan Party in its call for privatization of the provinces telephone / telecommunications Crown utility. What's their rationale for the privaitzation sale? 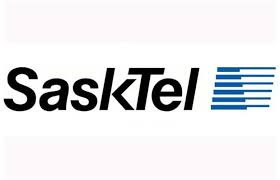 Well, they reason, SaskTel is worth billions and the proceeds of a sale could be used to ..... (wait for it) .... lower taxes. We've been there and done this before.